We know you like to jam and since you made a qualifying order, you’ll receive these spectacular black and blue Hawaii Islands Sonic Jam Bluetooth headphones! Compatible with many Bluetooth enabled devices (phones, tablets, and more) which allow you to listen to your tunes almost anywhere; these bad babies also have a long battery life, expandable headband and are cord free! 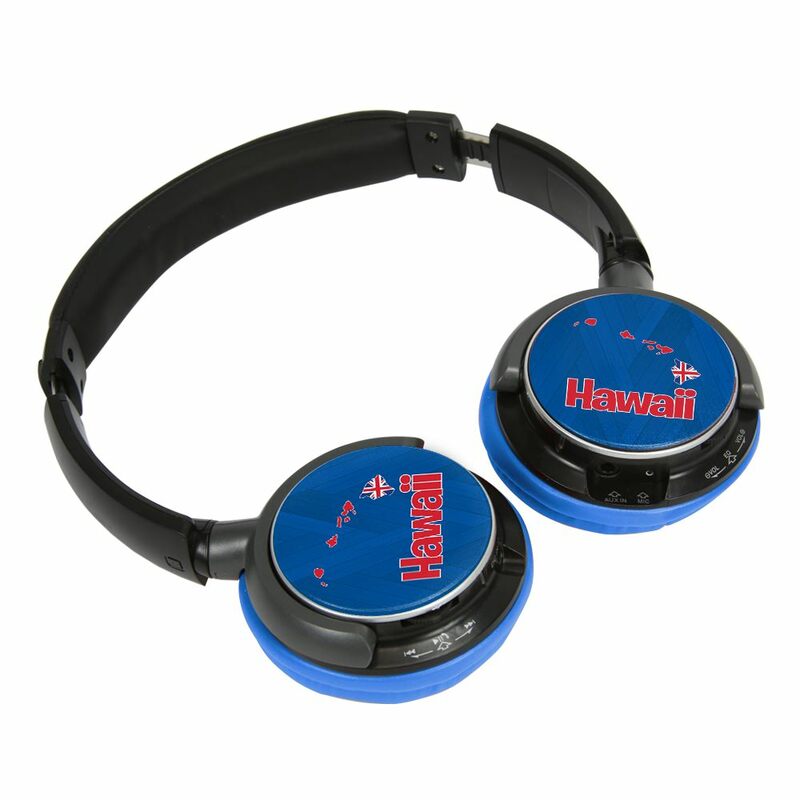 The swivel ear cups are also printed in blue and red with the Hawaiian Islands, lending a tropical vacation feeling which is sure to bring you away from your busy life. Enjoy!